You will find below the horoscope of Jaclyn Smith with her interactive chart, an excerpt of her astrological portrait and her planetary dominants. If you know the time of birth of Jaclyn Smith, we would appreciate it if you would send us your information with your source, at stars@astrotheme.com. To thank you for contributing to the enhancement of our astrological database, we shall be glad to send you the astrological portrait (34 pages) of this celebrity. Horoscopes having the same aspect Mars conjunction Saturn (orb 0°05'): Rihanna, Helena Blavatsky, Victoria Beckham, Ellen DeGeneres, Cindy Crawford, Anti-Christ, Maria Callas, Pablo Escobar, David Lynch, Gia Carangi, Dolly Parton, Steven Tyler... Find all the celebrities having this aspect. Horoscopes having the same aspect Moon trine Mercury (orb 0°13'): Justin Bieber, Hillary Clinton, Zayn Malik, Mel Gibson, Gwyneth Paltrow, Jessica Biel, Nolwenn Leroy, Natalie Dessay, Cher (entertainer), Zinedine Zidane, Charles de Gaulle, LeBron James... Find all the celebrities having this aspect. Celebrities born the same day: Hillary Clinton, François Mitterrand, Keith Urban, Seth MacFarlane, Mohammad Reza Pahlavi, CM Punk, Rita Wilson, Georges Jacques Danton, Dylan McDermott, Catherine Barma, Antarès (astrologer), Natalie Merchant... List of all the celebrities born on October 26. Celebrities clicked on in real-time: 576,033,230 times. Jacquelyn Ellen "Jaclyn" Smith (born October 26, 1945) is an American actress and businesswoman. She is best known as Kelly Garrett in the iconic television series Charlie's Angels, and was the only original female lead to remain with the series for its complete run (1976–81). Beginning in the 1980s, she began developing and marketing her own brands of clothing and perfume. Jacquelyn Ellen Smith was born in Houston, Texas, the daughter of Margaret Ellen (née Hartsfield) and Jack Smith, a dentist. She graduated from Mirabeau B. Lamar high school in 1964. She attended Trinity University in San Antonio. After college, Smith moved to New York City with hopes of dancing with the ballet. Here are some character traits from Jaclyn Smith's birth chart. This description is far from being comprehensive but it can shed light on his/her personality, which is still interesting for professional astrologers or astrology lovers. In a matter of minutes, you can get at your email address your astrological portrait (approximately 32 pages), a much more comprehensive report than this portrait of Jaclyn Smith. Warning: when the birth time is unknown, which is the case for Jaclyn Smith, a few paragraphs become irrelevant; distributions in hemispheres and quadrants are meaningless, so are dominant houses and houses' accentuations. Therefore, some chapters are removed from this part. The predominance of Water signs indicates high sensitivity and elevation through feelings, Jaclyn Smith. Your heart and your emotions are your driving forces, and you can't do anything on Earth if you don't feel a strong affective charge (as a matter of fact, the word "feeling" is essential in your psychology). You need to love in order to understand, and to feel in order to take action, to the detriment of a certain vulnerability against which you should learn to fight. Cheers for communication and mobility, Jaclyn Smith! The predominance of Air signs in your chart favours and amplifies your taste for relations and for all kinds of short trips, whether real (travels) or symbolic (new ideas, mind speculations). You gain in flexibility and adaptability what you lose in self-assertion or in pragmatism. Jaclyn Smith, the Cardinal mode is dominant here and indicates a predisposition to action, and more exactly, to impulsion and to undertake: you are very keen to implement the plans you have in mind, to get things going and to create them. This is the most important aspect that inspires enthusiasm and adrenalin in you, without which you can grow weary rapidly. You are individualistic (maybe too much?) and assertive. You let others strengthen and improve the constructions which you built with fervour. After this paragraph about dominant planets, of Jaclyn Smith, here are the character traits that you must read more carefully than the previous texts since they are very specific: the texts about dominant planets only give background information about the personality and remain quite general: they emphasize or, on the contrary, mitigate different particularities or facets of a personality. A human being is a complex whole and only bodies of texts can attempt to successfully figure out all the finer points. Affectivity and intuition are very developed, Jaclyn Smith, and you are very sensitive to your environment. You “feel” atmospheres, moods and other people's emotions and when you capture negative influences, a feeling of ill-being immediately overwhelms you, all the more so because your lively imagination may destabilize you as it amplifies your receptiveness. Your nature is anxious and you tend to worry for your entourage. You strive to offer them a reassuring family atmosphere, the much needed comforting and warm sort of cocoon where you can laze around, at will. Because you care so much for your family, they may think that you are intrusive and that you try to rule their life through subtle affective blackmail. Trust them... and also learn to have more confidence in yourself! You are the very type of the researcher endowed with great intellectual and imaginative capacities, Jaclyn Smith, and your curiosity is very deep. Researches, riddles and mysteries appeal to you and with a remarkable sixth sense and intuition, you endlessly try to unearth the truth, in all areas, like a psychoanalyst or a detective. You are a very secretive and introverted person, you find it difficult to open up and you rather prefer psychoanalysis. In spite of your clear-sightedness, you find it hard to deal with people: your critical mind, tinted with irony and causticity, may be destructive, especially since your determination and your stubbornness do not incline you to giving up. You are fond of provocations and you handle contradictions skilfully even though you may come across as dishonest. Jaclyn Smith, it is impossible to hide it: to love, to be loved and to please, all these activities are at the centre of your life. Because you loathe solitude, you are constantly looking for company, and if possible, for an amorous company. It does not mean that you are full of passion all the time: you are refined, delicate and charming and you skilfully make use of customs with moderation and balance, without losing sight of your personal interests. You are ready to adjust and to compromise in all circumstances. You want to love and to remain integrated in your society: love gives precedence to propriety, which is fundamental to you. You are particularly gifted for this game of refined courtesy and politeness where appearances are at least as important as contents; you are able to show what you feel like showing and you achieve your ends with elegance, gentleness and goodness. These are precisely your main assets. It is difficult to find a more sensitive person than you, Jaclyn Smith. You are able to contain your aggressiveness and it may be hard for you to exteriorize your feelings. You are usually passive and you draw your strength from inertia and resistance more than from the will to take action. Your mood is changing, you show little of yourself and you may surprise with your inopportune reactions that come late, when people have forgotten what it was all about. The only area where you express yourself with zeal and where your actions are successful is the area of home or, more symbolically, in the fields where you can achieve security. In other words, you need to feel comfortable before you can move, in concrete matters as well as in sexuality. This text is only an excerpt from of Jaclyn Smith's portrait. 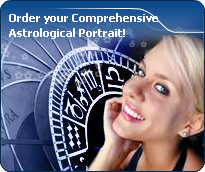 We hope that it will arouse your curiosity, and that it will prompt you to deepen your knowledge of astrology, as well as to visit and use the wide range of free applications at www.astrotheme.com. Your Life Path is influenced by the number 1, Jaclyn, which often prompts you to have an active and sometimes original life. 1 is the number of creativity and indicates individual destinies which are achieved at the cost of personal efforts because, although the path may lead very far, it climbs steeply upwards. You need to learn to manage your life with a strong willpower while using your own resources. It is most likely that you reach the best of your possibilities if you choose a free-lance occupation, or anything which allows a lot of personal initiatives. You really need freedom of action. You prefer to innovate rather than to follow the trend, and to create rather than limiting your activities to repetitive tasks. Thus, your life may be theatre of spectacular twists and turns, all the more so because the more you progress, the more your indecisiveness fades away. In such conditions, it is necessary that you strive to maintain a minimal degree of stability in the course of your life.